This is a tomato knife with a thin and consistent cut. 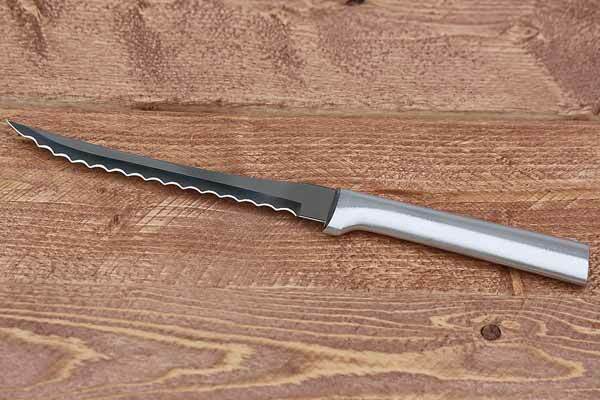 Use the slim serrated blade to cut tomatoes, avocados, grapefruits, and more. It even fillets fish! The long, slim, serrated design is perfect for slicing through tough skins with soft strokes. Stainless steel construction. Lightweight. Comfortable. View our Peeling And Paring Knife Set for a cutlery set that will meet all your cutting needs.